If you’ve committed to carrying a short barrel rifle or shotgun, sub-machine gun or AR pistol you’re going to need a tote it around in public. Many companies are making bags designed to carry rifles or sub-machine gun-sized firearms in public. These bags share common attributes, such as heavy-duty construction, padded interiors, large and durable zippers and zipper pulls, and a manly appearance. Sometimes they are also made to look like common, everyday items. The problem here is the Sneaky Bag logo at the bottom of the bag. Too obvious if someone knows about Sneaky Bags. The average person (including a thief) may not recognize this logo, but law enforcement personnel and other armed civilians may. I don’t want any attention from anyone. Concealed is concealed. They are too big and/or have a noticeable shape for most common environments.Blackhawk makes a Diversion series of firearms bags that look like everyday bags (mostly). 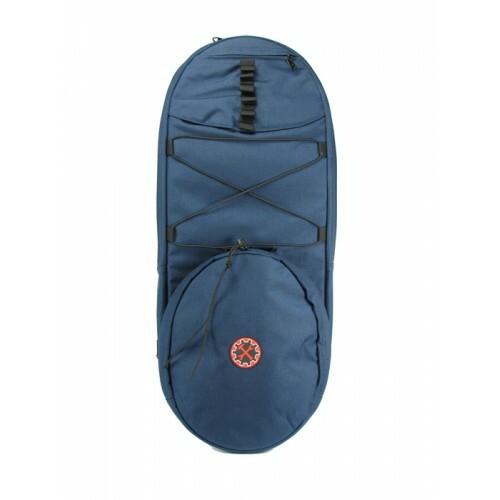 They make a workout / duffle bag, a racket bag, a messenger bag, a sling bag and two different backpacks. The duffle bag is too big, and the larger skateboard-style bag they make is borderline based on your environment. Unfortunately it is very, very expensive at $350 and is very big. Depending on your environment and manner of dress, it may stick out. This looks very similar to the type of hiking backpacks I used to see on the light rail train to work, and if you live in an outdoor-oriented place it might blend in. However, I find this bag too “adventure” for going to the mall or library or wherever, and the price is something to consider. 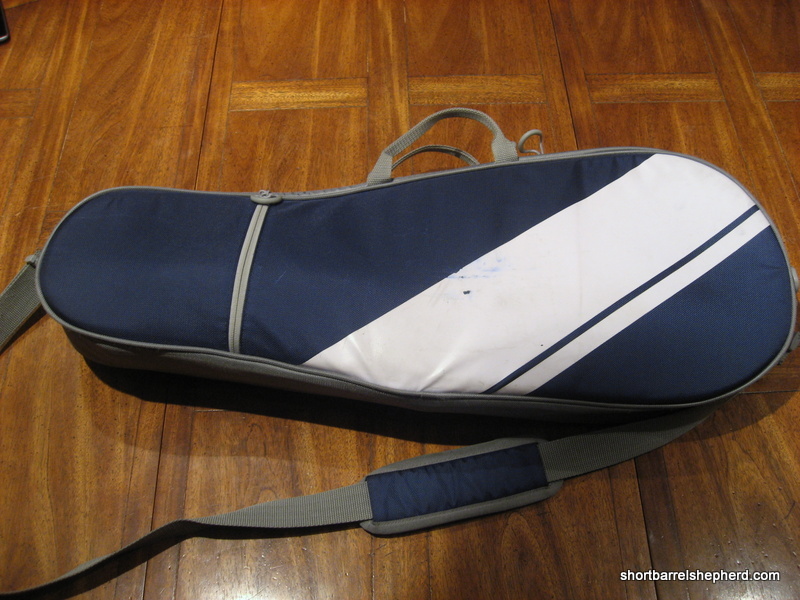 Many people also use improvised bags such as tennis racket cases, folding chair bags, or yoga mat bags to carry a firearm in public. Skateboard bags seemed popular this year on various Internet forums. The Blackhawk bag is well made, but when a big burly guy is carrying around a tennis racket bag in a mall I think it draws a lot of attention. No one’s going to play tennis in the mall, buddy. It also makes me smile when I read accounts of very rugged, very old-school macho firearms instructors carrying around yoga mat bags with rifles in them. Who are they fooling? I bet these guys can’t even name two types of yoga. Some people who use a folding chair bag only employ it to carry a rifle from their car to, say, a hotel room. In this situation it’s not about carrying the rifle in public. 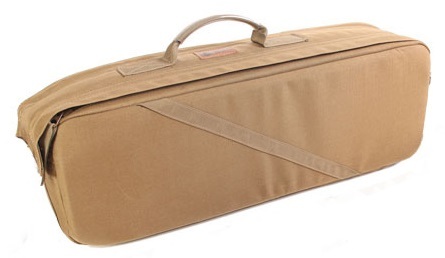 It’s about moving a firearm without people recognizing a traditional rifle case. It’s a theft thing, not an availability / concealment thing. The material this chair bag is made out of is too thin to avoid printing, and may rip or mar after repeat use. Common bags are what I use for my SBRs. By “common” I mean common messenger bags, laptop bags, or backpacks that are available at a mainstream store like Target, Wal-Mart, or Amazon.com. I carried my SBR AK in a Timbuk2 messenger bag for a few months, and now carry it in a “daypack” sized backpack made by Mountain Hardware. My wife carries the KPOS SBR Glock enclosure in a triangle-shaped slingpack that is worn over one shoulder. The biggest strength to these common bags is that they look exactly like “real” bags normal people carry because they are real bags that normal people carry. They have the same logos, profiles and sizes of bags hundreds of commuters carried on my daily trips to and from work. Like some of the improvised bags, common bags may not be made from sturdy enough materials to hold up to carrying a rifle day in and day out. I found this to be especially true when trying out different sling packs that are part backpack, part messenger bag. My recommendation is to choose manufacturers that have a true bike courier / messenger or climbing heritage. My Mountain Hardware bag was $55 delivered and blends in just about anywhere. You are going to need to break up the pattern of the rifle and keep the muzzle from deforming the bag if you go the “common bag” route. I do this by using a padded 17″ laptop sleeve. I put the sleeve into the main compartment of my backpack and leave the top unzipped. My AK is 17.5″ folded, and sticks out of the top of the sleeve. 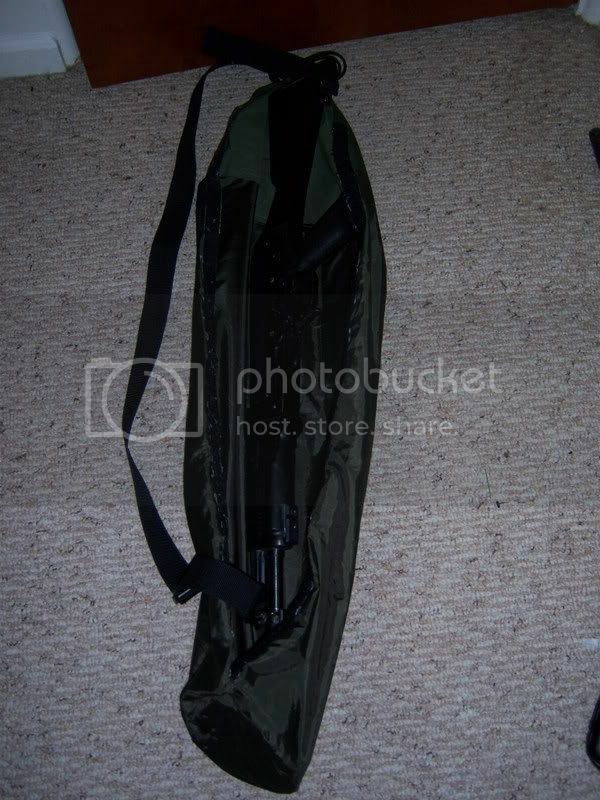 However, the sleeve is padded and thick enough to obfuscate the profile and keeps the rifle from damaging the backpack. The sleeve is also portable, so I can put the sleeve in different bags, such as my Timbuk2 messenger bag. 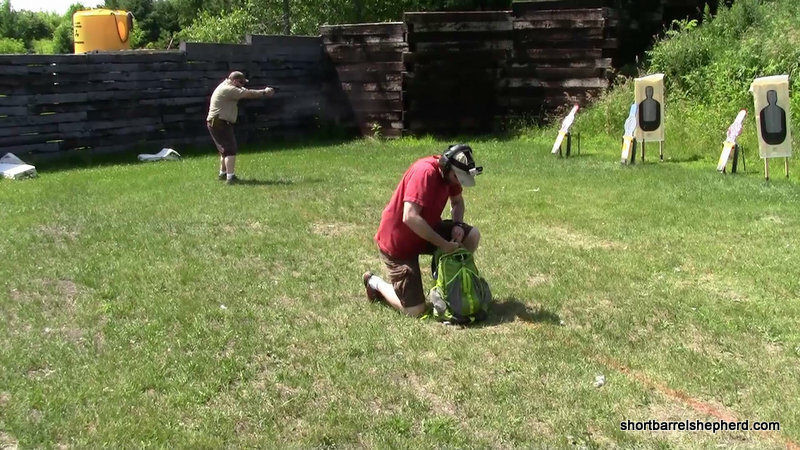 The bag should be sturdy enough to hold the weight of a rifle and ammunition. My SBR AK-47 is eight and a half pounds empty, and I carry a 20- and 30-round magazine in my bag. The bag’s bottom and back should be durable; the weight and sharp-ish edges of a rifle will wear on the bag’s material. The main content area of the bag must be easily accessible. The strap(s) and/or handle must be well-made and attached securely enough to handle the weight of an SBR, plus ammunition, plus whatever else you might store in your bag. I recommend bags with at least two compartment areas. You don’t want to access your rifle compartment unless you have to. I keep various work items in the front pocket of my backpack. I also store my laptop, lunch and coffee thermos in the main compartment. I’m racing against another student. I need to open my backpack, deploy the AK, chamber a round, and fire before he can hit four targets two times each. This is the bag I carry my AK in every day. If you are short on time and long on cash, and don’t mind something that has a higher chance of identification than the other options, I think there are some legit purpose built bags for carrying your SBR in public. However, if you don’t mind doing some research and some trial-and-error and want to blend in as much as possible you should consider a common bag. I’ll be reviewing all types of bags this year, with opinions on their tactical usefulness as well as the environments they would blend in the best. Stay tuned. 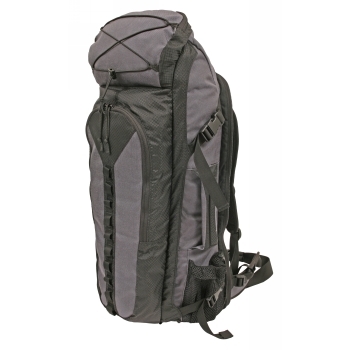 1 Comment on "Types of SBR Bags"
I use the GeigerRig 1600 in black which is a regular hydration pack, comfortable, and versatile pack. The best thing is the very tall main compartment that will easily stow a folding stock gun. 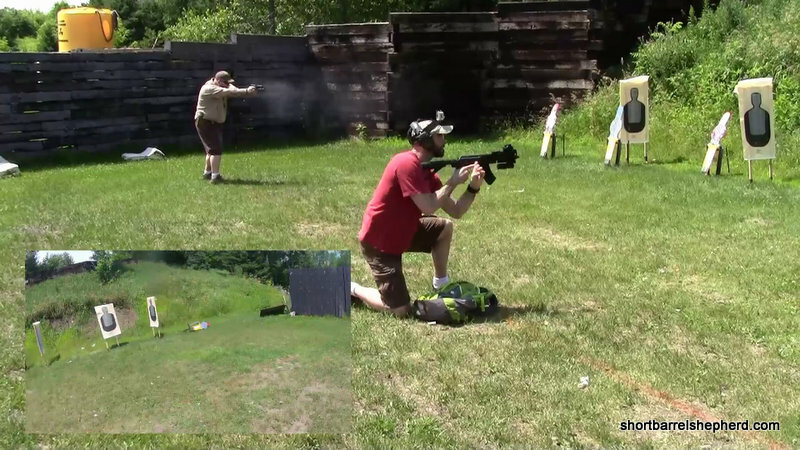 I had a PAP M92 in it, though have switched to AR pistol soon to have the LAW folding mechanism. I may also have a VZ58 pistol for it since the 7.62×39 is a cheap and better urban cartridge.